One of the greatest reasons why so many Christians today do not experience the peace that comes through the assurance of salvation can be summarised in one simple question. Can I truly be a Christian even if I fall to the same sin over and over again? The answer to this is “yes”. It is possible to be a genuine Christian even if you fall to the same sins over and over again. Let’s be absolutely clear on this. Either the Lord Jesus saves habitual sinners or he does not save anyone at all. If we do not believe this is true then we strip ourselves of the only weapon that can put our sin to death. We are all habitual sinners. Why? Because we are all habitual sinners. Some sins are pretty obvious: drug or alcohol abuse, sexual sin and violence. Others are less obvious: gossip and slander, dishonesty and laziness. Most sins however, are barely detectable to anyone but ourselves: pride, lust, hatred, unbelief, envy and prayerlessness to name a few. Whether our inclination is toward an outward sin like drunkenness or an inward sin like lust, we all sin repeatedly. We commit the same sins again and again and again. If we begin to feel that this experience of sin is not normal then it weakens our confidence that we are in fact true disciples of Jesus Christ. Reading through the last paragraph may have created a bit of tension inside you. On the one hand, you may feel as though you are able to relate to the experience of habitual sin. You acknowledge that you are guilty of repeating the same offences against God. On the other hand, you may also feel that this should not be the case. Christians are, after all, new creations. The “old has gone and the new has come” (2 Cor 5:17) and “no-one who is born of God will continue to sin” (1 John 3:9). We are no longer slaves to sin (Romans 6:6) because we have died with Christ to our sinful nature and have been raised to a new life in Christ – a life of righteousness and holiness. What these passages attest to is that those who have become genuine disciples of Christ should experience real transformation. Something very real, very powerful and very significant has happened to us. We have been changed, and we are continuing to be changed, into the image of Christ. 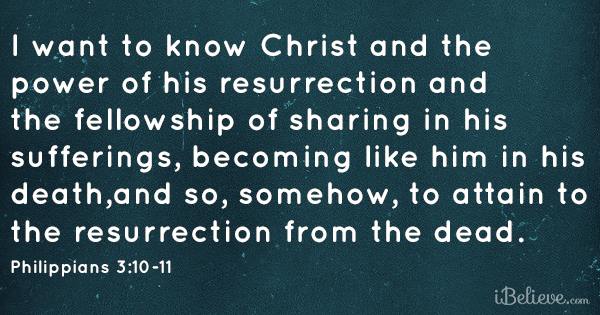 This is an undeniable characteristic of new life in Christ. However, to take these verses out of context would lead to the unhelpful conclusion that the genuine Christian life is free from the constant struggle against sin. This idea, which has unfortunately taken root in some church movements is deeply misleading because it neglects another very important biblical principle about the Christian life. For I know that good itself does not dwell in me, that is, in my sinful nature. For I have the desire to do what is good, but I cannot carry it out. For I do not do the good I want to do, but the evil I do not want to do – this I keep on doing. So we can see that struggling with sinful patterns of behaviour is part and parcel of the normal Christian experience. The effect of our new life in Christ is to create a conflict between the influence of the Holy Spirit and our sinful human natures. As we experience transformation we also experience conflict. The struggle is what matters. So how does this apply to our assurance of salvation, particularly when we are struggling with habitual sin? The answer is that it is the struggle that matters. God never said that your sinful nature would go down without a fight. God never said that it would be easy. God never said that it would be quick. You began your Christian life by faith and repentance, and that is the way you should continue. You are a true Christian if you are fighting your sin with repentance and faith in Christ. It is only because of the miraculous power of the gospel that you are interested in fighting, so fight your sinful habits with the full assurance of God’s love and forgiveness behind you. Previous postRead the Bible like Isaac Watts.